Tyler Cain Lacy is a New Mexican living in Chicago. More of his work can be found in Sprung Formal, Columbia Poetry Review, Caliban, Otoliths, and elimae, among others. 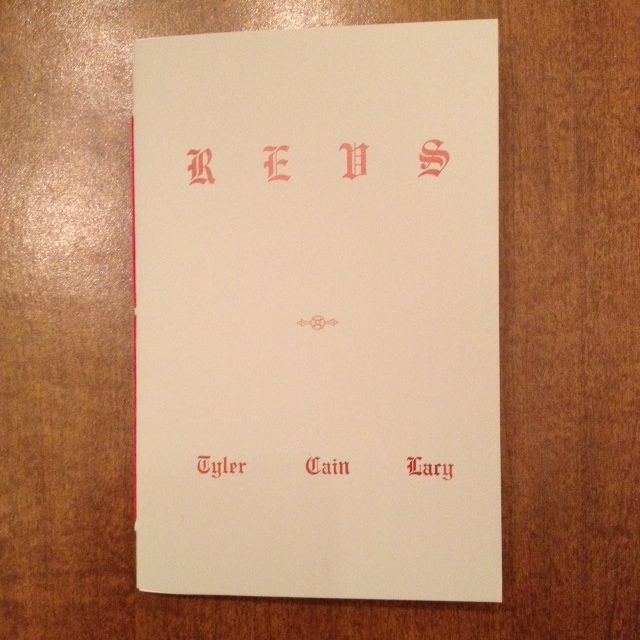 REUS is his first chapbook, and is hand sewn with a letter pressed cover, printed in an edition of 100.